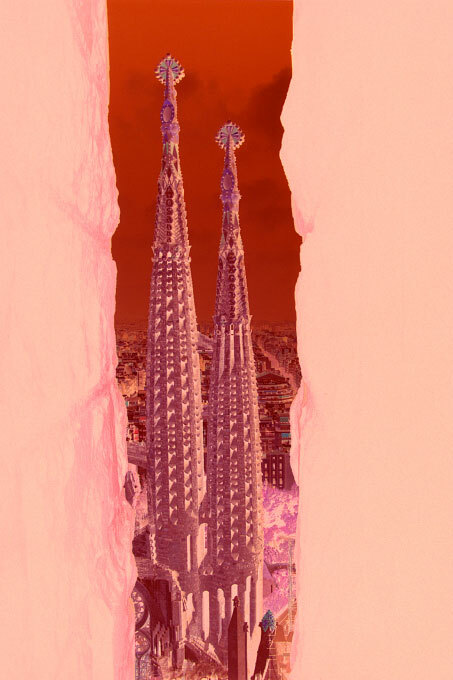 This image was shot from one of the towers of Sagrada Familia. Two towers are seen through the chiseled frame of a window carved in the stone. A strip of stone seems to have been torn in order to reveal the view of the towers. Hence, the title in honour of Barnett Newman.